Delight in beauty and enjoy unforgettable bathing pleasure which gives not only visual experience but also physical relaxation. 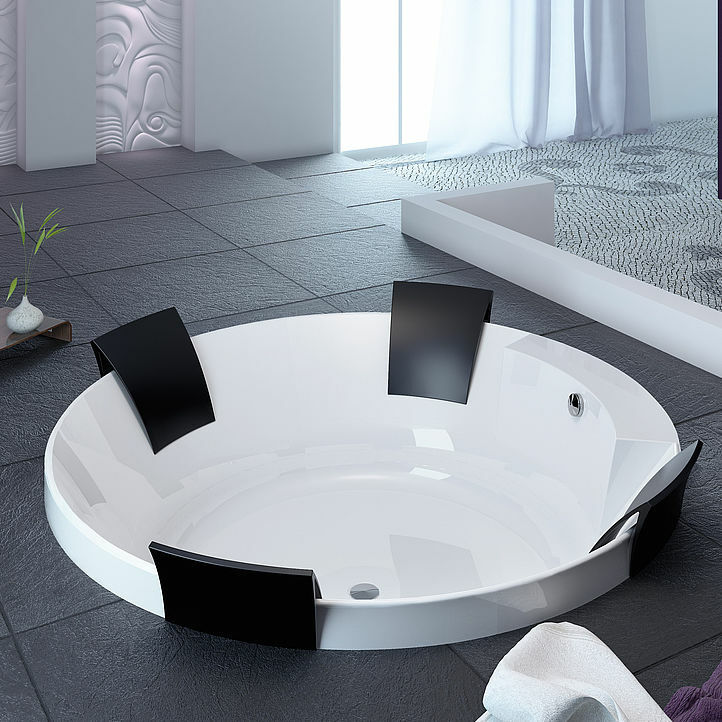 Aviva model offers most enjoyable bath even to most demanding users and it is an ideal bathting place for two persons. Increase your pleasure by putting comfortable backrests at any chosen place of the Bathtub to seat or lie down comfortably.Aviva model is also available in wall or back-to-wall version.